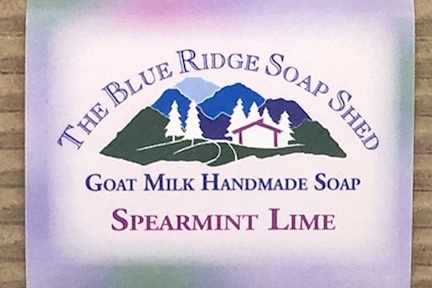 The Soap Shed makes forty five completely natural soaps using natural essential oils to scent these soaps. Our essential oil soaps are available in all our levels of moisture, including our castile olive oil, four-oil, goat milk and shea butter recipes. An all-dressed-up-Sunday-go-to-meetin' kind of goat milk soap for all true Southern Gentlemen, wherever they reside. Natural essential oils of Lavender and Lemongrass create an unusual blend that's neither fruity nor floral. Our Lemon Tree Soap for Acne and Oily Skin is made with our base recipe of good-for-your skin oils including olive, coconut, palm and castor oils.